Don't ever feel guilty about buying makeup, but feel some guilt for not properly storing your valuable positions. A cleaner makeup area will make it so much easier for you to find the products that you need and cut time on the makeup routine, maybe. If you are limited on space, organizing the beauty products that you have can free up a lot of room for you and you don't have to worry about bulky organizers. There are simple ways to get all your products in order without having to buy so many plastic organizers and boxes. Stop putting excuses on why you can't get organized and take 20 to 30 minutes of your day to put things in order. Here are a couple of items that can help. It's so crucial to have a clean makeup area. Germs live on the surface and if you leave your brushes laying around they can build up fast. First thing is to dust off surface areas where you store or do your makeup. Editor's Note: My favorite thing to do after dusting my makeup table is laying out a white towel where I usually do my makeup, so that any fall-out makeup lands on the towel versus on my table. If there are makeup products that you haven't used in months, it's a sign that you need to get rid of it. Instead of throwing it away, if it is a perfectly good product that hasn't been used or used once, give it to your sister or mom who might like it. Avoid the trash if you can. 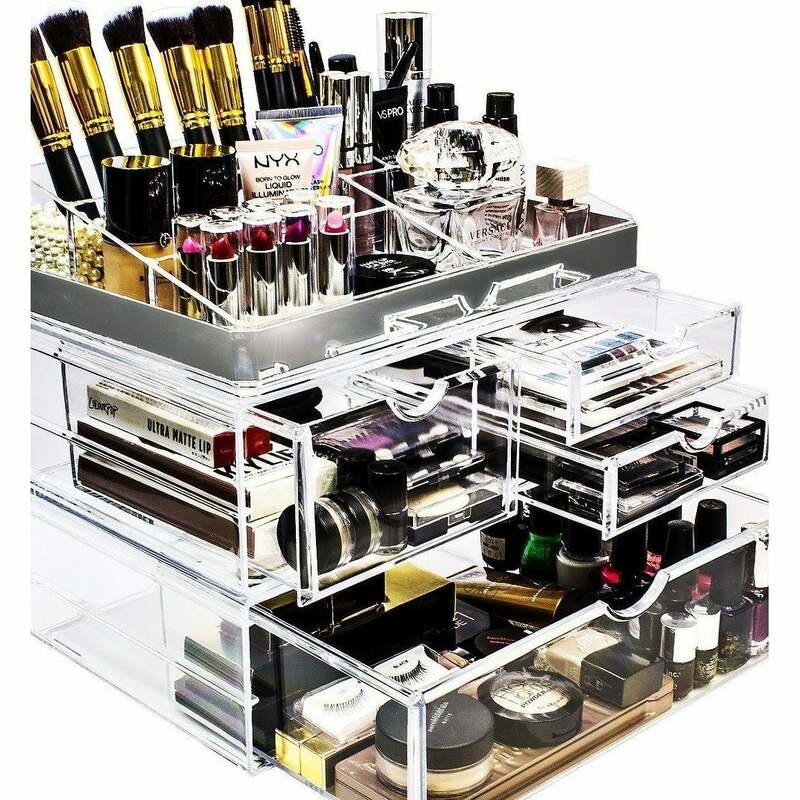 By decluttering your makeup station, it will make it easier to get organized and there will be less stuff to put away. This will also help you organize your looks, what you use on a daily basis, and your makeup you use when you go out. Decluttering is also for any makeup that is past its expiration date. It's important to get rid of any expired makeup, especially since it probably doesn't work anymore and is just taking up space and because it is bad for your skin. Don't worry, this doesn't mean you have to get rid of everything, this is just to help you see what makeup products you actually use and love. After you've cleaned your makeup area and decluttered all unwanted makeup products, it's finally time to organize your makeup. Organizing your makeup does not have to be specific or technical it could simply be one or two boxes that holds your makeup. You also don't have to worry about spending a lot of money to get the organizers that beauty influencers have, although it would be nice. Three easy steps to get you organized and never having to worry about a cluttered makeup space ever again, you're welcome. Have some makeup organizing hacks of your own? We want to hear all about them!